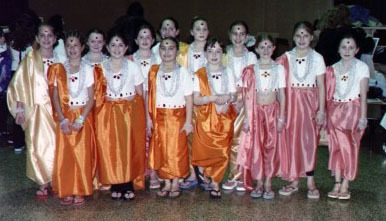 Don’t these India costumes look great for Thinking Day*? Good job girls. You certainly earned this India patch for your International event! 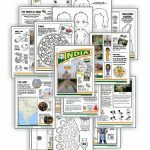 13 reviews for "India Patch"
These patches were adorable and we were so excited that you had this country available after we had our WTD event. Thank you! 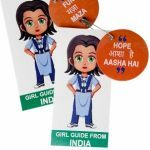 This is the second year ive ordered these badges for my girls in addition to their thinking day badges. Just adoreable and a nice reminder of what they work so hard for every year. WOW I was surprised when I got this patch and the others that I ordered also. They are BIG, beautiful, and greatly quality! I hope the girls earn more next year. The patches were really of a good quality. 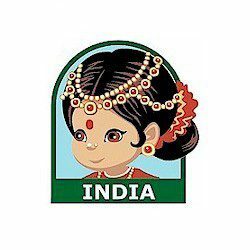 I was looking for a patch for an event some of the girls in my troop attended about India. I wasn’t able to find anything, and then ran across this patch. It is perfect! This is a very cute patch. Our troop loved it! Great service, too. 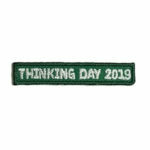 This is the 2nd year we’ve ordered our World Thinking Day patches from MakingFriends.com and we couldn’t be more pleased with the service, delivery or products! The girls look forward to these patches each Thinking Day. Very cute! The patch is very pretty and the girls are exited to earn this patch at Thinking Day. For the price paid, I thought the patch design was very cute, and a great size for the value! Good value… a person from India noted that the nose ring looked wierd on the patch – as if it is on the top of the girls nose. Could that get improved for later runs? But Overall – cute patch, nice stitching & decent size. I love, love, love this idea. Got my patches last week and brought them to SU meeting. The leaders were very excited about getting some for there countries. Too bad you dont have more.